If you follow my blog, you know that I think art is a must in every home! Art finishes a room, acts as the focal point, or even sets the entire palette for a space. 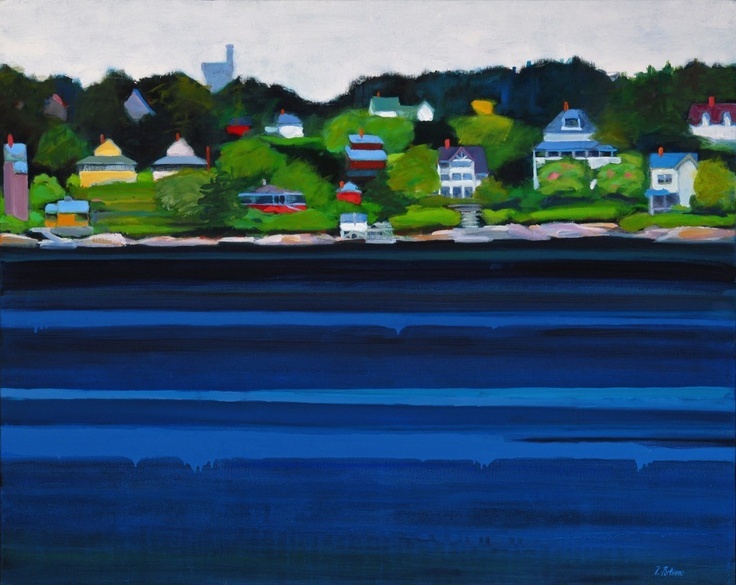 Maine artist Phoebe Porteous’s art is just the right addition to any home. I have been captivated by the work of Phoebe Porteous for several years. 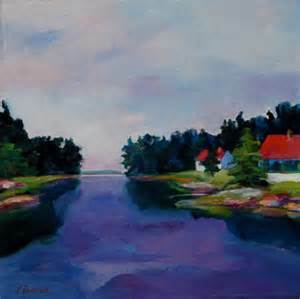 Her work has been come very popular, and as a result her original painting are not inexpensive. The Elizabeth Moss Gallery who represents Porteous, has found a way to make her work more affordable. They are offering prints of her work, this will allow me to use her work in many more of the homes I design. 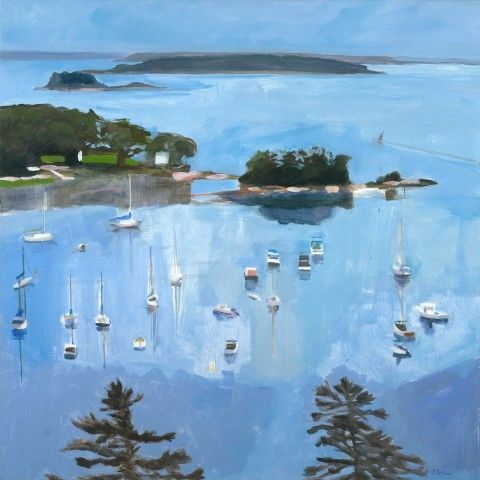 Phoebe Porteous has spent her life exploring the landscape – the lakes, mountains, and coastline ­– of Maine. In the eight years since she began painting, she has turned those explorations into vivid and colorful paintings that portray the essence of the state. Her work looks at the relationships between colors in nature as well as the changing quality of light. 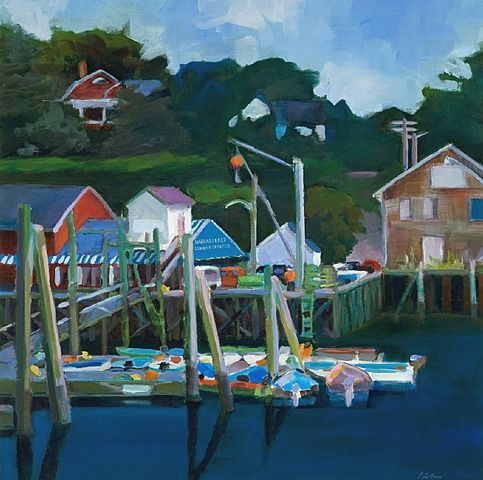 In my paintings I try to capture the sense of timelessness in Maine, to capture what I love about Maine and what I loved about my childhood. Many of the places I choose to paint are places I have visited throughout my life, and I try to distill the essence of what I have always found there. I often begin paintings on site and then move into my studio. It is there that I look for the rhythm in the painting and pay attention to the texture of the paint. This is the time when I edit details, shift a building, move a tree, and simplify the scene. When enough layers of color have been laid on to satisfy me, there is a glimpse of the moment that captured my interest initially. I need the feeling that I know a place before I can put it on canvas. Maine is in my genes, in my bones, and in my senses. I paint when and where I can, always looking for that scene or that light that catches you up and holds you and makes you almost cry for its simplicity, purity, color, and clarity. I hope you have enjoyed this post, and that you will not only look at her work on http://www.phoebeporteousprints.com but you will add one of her prints or paintings to your art collection! I love this one it is so beautiful! Enjoy the last official weekend of summer.